BREVARD COUNTY, Florida - A Brevard County man died as a result of injuries he sustained after being hit by a SUV early Thursday morning near Sharpes, Florida. According to the Florida Highway Patrol, 44-year-old Steven Turner of Titusville, Florida was driving a 2011 Nissan SUV northbound on US-1 (North Cocoa Boulevard) in the outside travel lane. 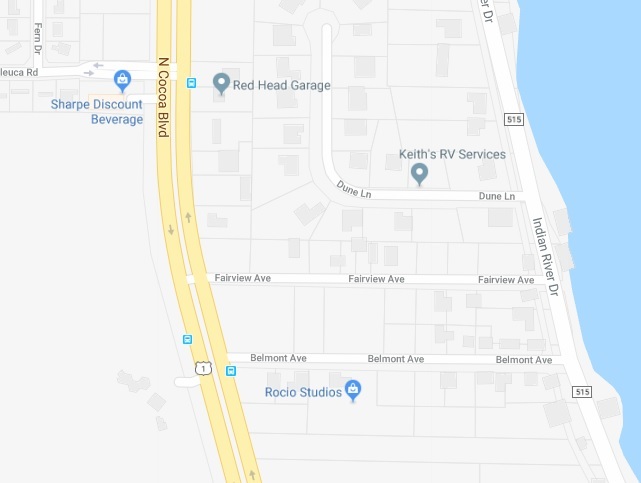 Meanwhile, a 46-year-old man from Cocoa, Florida was walking in the same northbound travel lane at the intersection of Fairview Avenue just before 1 a.m.
As the Nissan approached the Fairview Avenue intersection, the front of the Nissan struck the pedestrian. According to FHP, Turner was wearing his seat belt at the time of the crash and he was not under the influence of alcohol. A toxicology report is pending to determine whether the pedestrian was under the influence.